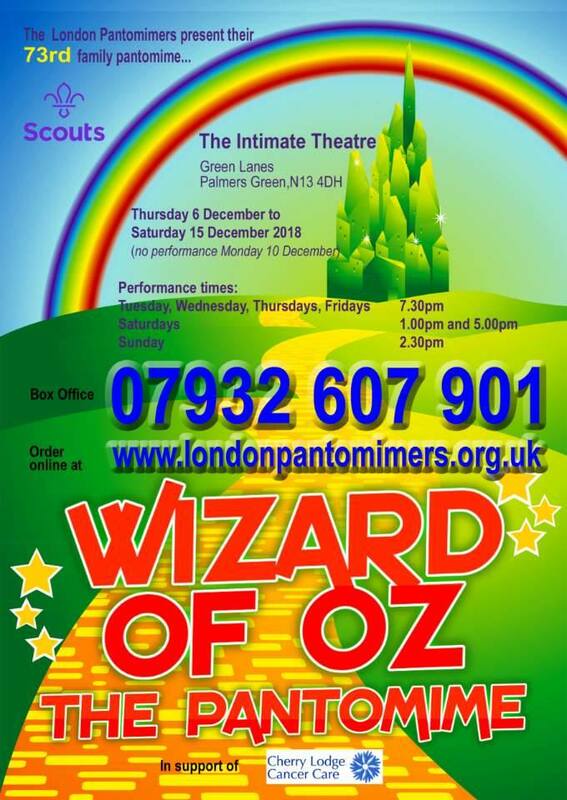 The London Pantomimers have selected ‘Wizard of Oz: the Pantomime’ for their 2018 production, and, at the end of each performance, will be holding a charity collection in aid of Cherry Lodge Cancer Care. The Pantomimers have been entertaining London families for over 70 years and the talented cast of local Scouts and Guides can always be relied on to put on a great show for young and old alike! Be prepared to cheer, boo, laugh and dance – audience participation is definitely encouraged. Tickets cost £14 for adults and £10 for children and concessions. To purchase tickets, please phone the Box Office on 07932 607 901 or book online (with small booking fee) via the London Pantomimers’ website.